This isn’t necessarily limited to this particular lipstick. I take whatever lipstick I am wearing with me that day for top ups. It just so happens that this was the lipstick I wore on my most recent outing so it was still in my makeup bag. If you are interested though, this shade is Crosswires which is a beautiful pink shade. 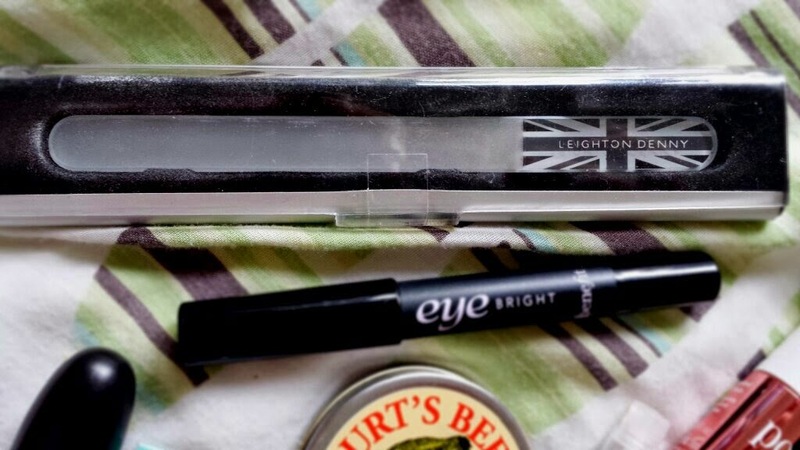 This is a necessity for me and this little tube never leaves my makeup bag (unless I’m using it, obviously). I have the full size, but this small one arrived in my January Birchbox and I find it very handy to keep in my makeup bag instead. Due to my skin being mega oily, the main reason that I need to touch up is to combat shine. Before I feel the need to break out the powder (see next paragraph) I touch up with POREfessional. 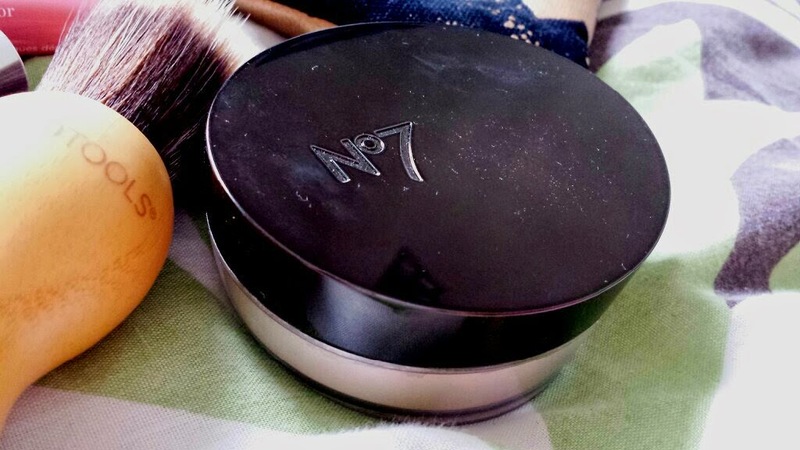 Ever since going to my Clinique makeup consultation, I have tried not to wear powder. The hypothesis is that the powder is what sends my makeup cakey (which is when I like to nickname myself Vicky, short for Victoria Sponge), so avoiding the powder seems to be helping me thus far. 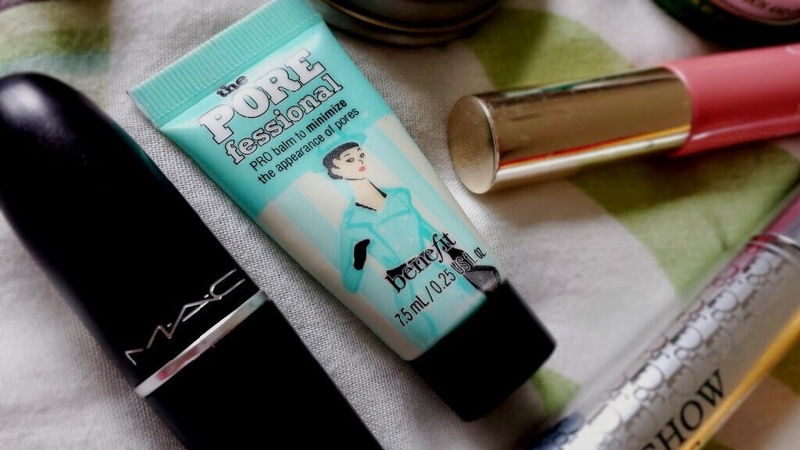 POREfessional helps to reduce the appearance of my pores and lessening the shine on my face, making me look refreshed and ready to go again. After reading my last paragraph, you may now be wondering why I even bother to take this with me anymore. Well, I can answer that: I take it just incase. If I find myself in a situation where no matter what I do, I just cannot take the shine away from my face, I will break out the powder. I apply it with my Ecotools Kabuki brush which provides a sheer finish and it does cake far less than when I applied it with a powder brush. I still try to use this rarely, though, opting for my POREfessional instead. I absolutely adore this mascara! However, I don’t ever really understand why I feel the need to take this with me in my makeup bag. I never find myself touching up my mascara whilst I am out and about, but I have found myself in situations where I have wished that I had actually brought it with me and I haven’t had it on hand. After that, I have always felt the need to take my mascara with me ‘just incase.’ I sort of fear that if I don’t, then something will happen that will result in me looking like a panda. I don't go anywhere without Vaseline. Whenever my lips are feeling dry I put this on. It has been that way since I was about 13 years old and I feel lost if I go out without it. For more info about this, check out my post that I wrote about it. Most of the time I will reach for this when I don’t want to wear lipstick. However, sometimes when I have wore lipstick out and about, it can start to annoy me if it begins to look clumpy and touch ups are just making it worse. You get what I mean, right? I start to run out of patience and then I take it all off and find comfort with this trusty balm. The shade here is Candy Shimmer. My go-to hand cream! I have so many hand creams, but I always have a tube of this in my handbag. Why? It’s beautifully softening and smells amazing! It is one of those products that I have re-purchased the most and has been a close ally of mine for years. I hate having dry cuticles. I hate it hate it hate it! Therefore, I can usually be found moisturising them whilst travelling or when I have a minute or so to do it. This cream is my favourite as not only does it smell delicious, but it softens cuticles in a snap! Amazing stuff! This is hands down the best nail file that I have ever used. Super smooth nail edges and nails just turn to saw dust with minimal effort. No rough bits left behind, just stronger, better nails. This file is so good that my mum demanded that I bought her one, too. I got her one for Mother's Day (along with a bunch of other things, too) and I swear it was like I'd bought her a diamond necklace or something. My current concealer love! I can’t survive without a high-coverage concealer and this one is my most recent concealing purchase. 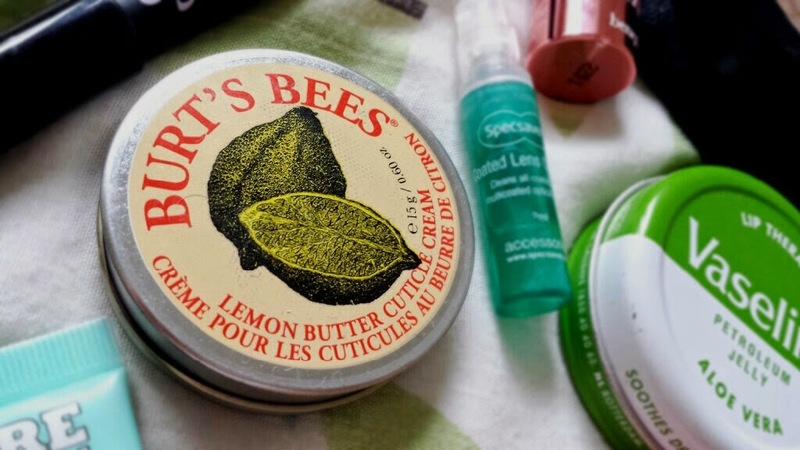 I think that it is fantastic and when teamed up with my Lemon Aid (which I wrote a review about here) and Clinique Anti-Blemish Foundation (which is amazing stuff!) I can cover pretty much anything. Or blush. I usually take my blush with me to replace it if my touch ups have removed it. I don’t find myself touching my blush up too often to be honest, but there is the odd occasion that I will. As with the lipstick, this just so happens to be what I was wearing on my cheeks on my most recent outing, so it is subject to change if I chose to wear a different blush that day. 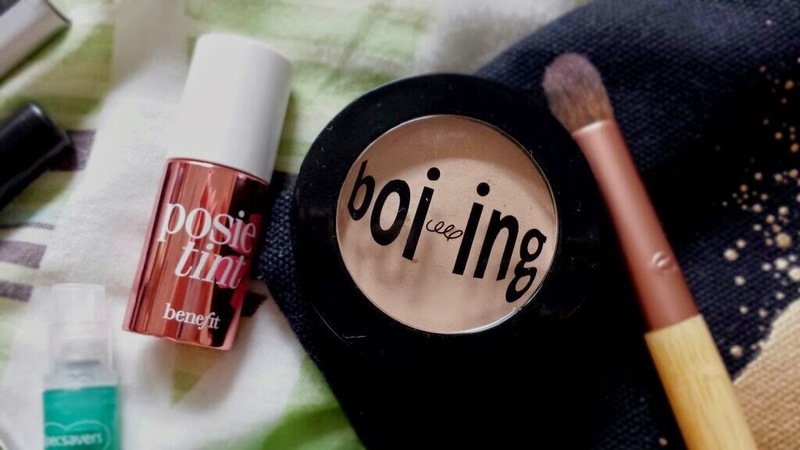 Taking Posie Tint with me was probably totally pointless anyway as it never fades on me! This wakes me up when I look like I’m falling asleep on my feet. 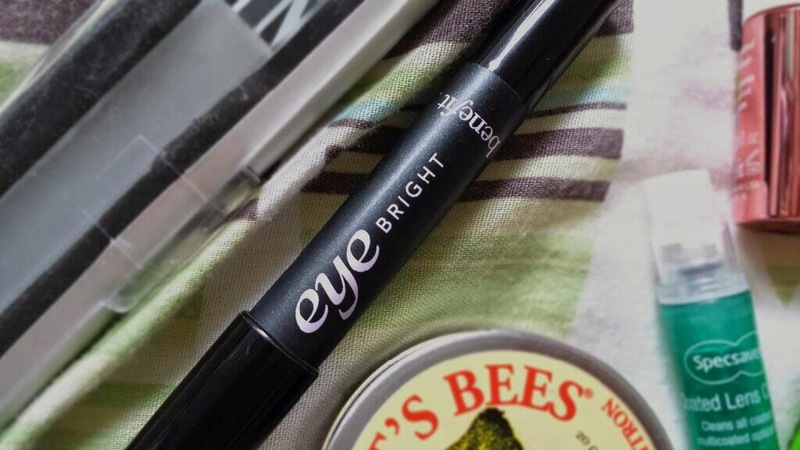 I don’t find myself needing to touch it up around my eyes too much, but if I look like I am beginning to fall asleep I line a bit of this on my waterline and I look much more awake in a matter of seconds! 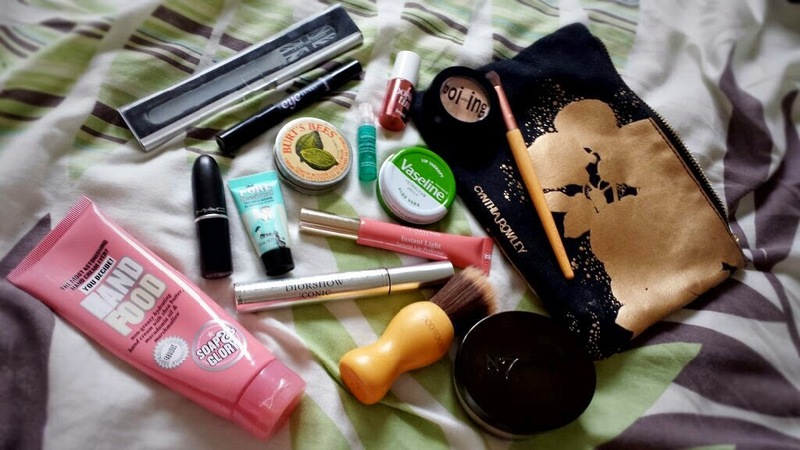 Out of all of these items, the ones that I find myself using the most are Benefit's POREfessional and whatever lipstick that it is I am wearing on said day. 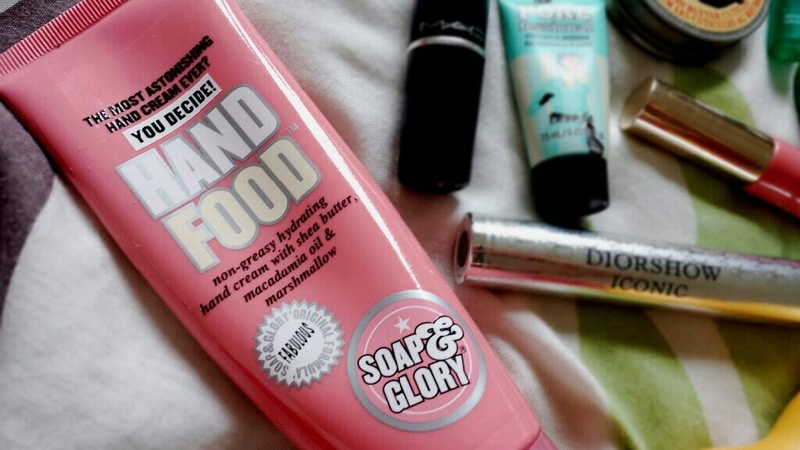 Alongside that, my Hand Food hand cream is also used often. Everything else is sort of there just incase a touch up is needed! So what do you guys take with you when you're out and about? Do you have any time for touch ups? 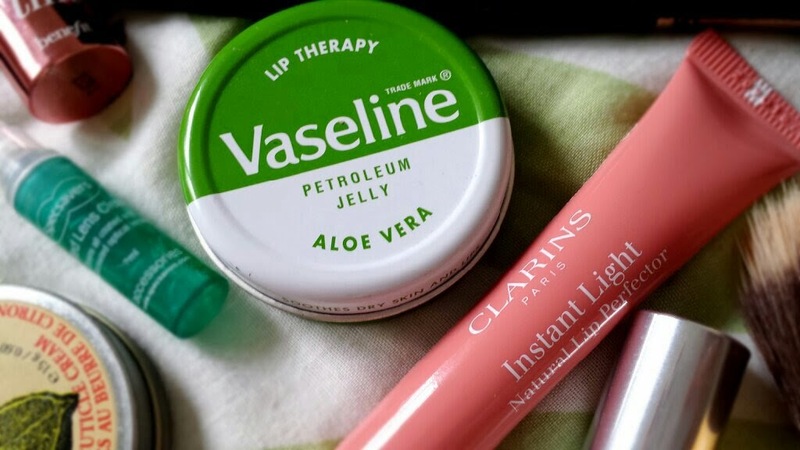 Whenever I lose a lipstick or a gloss, 9 times out of 10 it has fallen in to the bottom of my handbag! Lip products just love floating about, don't they!? Haha!